Colloidal Silver Secrets: Can Pathogens Develop Resistance to Antimicrobial Silver? Can Pathogens Develop Resistance to Antimicrobial Silver? Radical environmentalists claim that antimicrobial silver used in commercial products to prevent the spread of germs will eventually seep into the environment and cause pathogens to grow resistant to it, much as pathogens have become resistant to many modern-day antibiotic drugs. Therefore, the use of silver in commercial products urgently needs to be banned, the environmentalists say, because its presence in such products will ultimately usher in a new era of powerful, disease-causing microbes that will be virtually unstoppable. Can this possibly be true? Or is it just another example of anti-silver sensationalism? Do the radical environmentalists have any valid evidence for their shrill claims that we’ll soon be facing an infectious disease apocalypse thanks to the use of antimicrobial silver in commercial products? Indeed, it is more likely we’ll be facing an infectious disease apocalypse if we fail to increase the use of antimicrobial silver in commercial products. – designed to scare the wits out of an already overwhelmed American public being faced with uncountable infectious diseases and related health challenges. So what does real science say about the potential for creating silver-resistance in pathogenic microbes? According to Lucian Lucia, associate professor of chemistry at North Carolina State University, and chemist George John of City College of New York, bacteria cannot build up a resistance to silver nanoparticles as they can to antibiotics, because of the way the silver nanoparticle attacks — destroying the structure of the cells and killing them. "The silver cation is known to have an exceptionally broad spectrum involving gram-positive, gram-negative, aerobic and anaerobic microorganisms… resistance to silver ions is rare." “Although some bacteria can develop resistance to silver, this is not regarded as a serious problem as available evidence suggests that most preparations capable of delivering sustained silver-ion release are effective against MRSA and VRE, and as yet no resistant strains have been encountered clinically. "Another benefit to using silver is that it does not appear to create the same amount of resistance in bacteria as traditional antibiotics. Ian Chopra, Professor of Microbiology at the University of Leeds, reported in a 2007 article in the Journal of Antimicrobial Chemotherapy that there are fewer than twenty published reports of silver resistance in bacteria. You see, unlike antibiotic drugs which generally kill pathogens through a single course of action, silver works in a multi-faceted manner, attacking infectious microorganisms from many different angles. Therefore, it is very difficult and extremely rare for pathogens to become “resistant” to silver. Generally speaking, if one facet of silver’s antimicrobial arsenal fails to work on a specific pathogen, another facet will do the job handily. Infectious disease specialist Dr. David Weber agrees, arguing that the use of silver in commercial products poses very little danger of creating silver-resistant microbes, due to silver’s multiple modes of operation. “…Dr. David Weber, an infectious disease and public health expert at the University of North Carolina in Chapel Hill, isn't convinced that silver resistance will prove much of a problem. 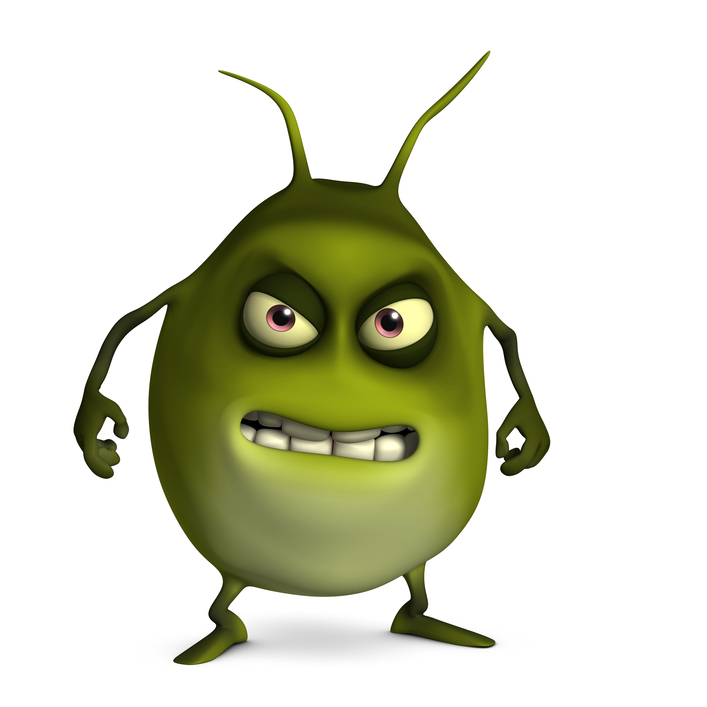 Resistance to antibiotics occurs quite readily in bacteria once prolonged exposure to, say, penicillin, occurs. But there's little reason to suppose that resistance to silver would develop so easily, he says. In contrast, silver kills microbes in a broad, unspecific fashion -- like tossing a bomb at a bacterium. It hits many essential points such as a bacterium's entire respiratory system. This makes it much more difficult for silver-resistance to develop. In short, microbes simply don’t grow resistant to silver anywhere near as easily as they do to synthetic antibiotic drugs, thanks in large part to silver’s broad spectrum of action. And even if a microbe does grow resistant to silver, increasing the dosage tends to take care of the problem! Can Pathogens Become Silver-Resistant Due to Prolonged Exposure to Silver? That’s not to say there are no cases whatsoever of silver-resistant microbes. Indeed, there are a small handful of cases. But out of the 20,000 catalogued pathogens in existence (and millions more that remain uncatalogued), only a very few have been found to be silver-resistant. In fact, only about 20 pathogens have demonstrated an ability to develop silver resistance, and then, only to varying degrees. In each case above, only some sub-species of the pathogens listed appear to be able to develop resistance to silver’s antimicrobial qualities. And again, it is important to note that only varying degrees of resistance have been demonstrated in clinical studies. In other words, few if any of these strains have demonstrated an ability to become completely resistant to silver. This means switching to a more powerful form of silver, or simply increasing the dosage of silver, will generally kill these “silver-resistant” sub-species. This extremely rare resistance to silver is the basis of most of the shrill cries by the radical anti-silver environmentalists who claim the use of silver in commercial products will usher in an environmental apocalypse coupled with a new dark age of infectious illness and disease. Should This Be Any Surprise? Should it be any surprise that in some rare cases, a sub-species or strain of pathogenic microorganism has demonstrated at least some small resistance to the antimicrobial qualities of silver? Of course not. No more so that it should be a surprise to find that some rare species of fish can survive out of water for long periods of time, and others can crawl out of the water and walk across dry land. Nature is just like that. Nothing follows the rules 100% of the time. And no antimicrobial substance on the face of the earth is 100% effective every time it’s used. For example, generally speaking, silver-based antimicrobials are highly effective against many strains of Klebsiella pneumoniae, a potentially deadly pathogen that is frequently picked up by surgical patients in hospitals, and is often resistant to Big Pharma’s antibiotic drugs. But at least one sub-species of Klebsiella has been demonstrated in laboratory studies to become resistant to silver, too, after being exposed to it multiple times. What researchers did was expose a test tube colony of the pathogen, grown in a saline nutrient broth, to small amounts of silver -- just enough to kill off the weaker pathogens in the colony. Then they repeated the process, each time adding a tiny bit more silver than the last. By the time they did this multiple times (11 separate times in the study I read, going by memory), the remaining pathogens appeared to be silver-resistant. This was a test-tube study, of course. But it nevertheless demonstrates the possibility that a subspecies of Klebsiella can actually become silver-resistant under the right conditions of repeated exposure to a silver-based product. But, that’s not the whole story. It’s just the small part of the story the radical anti-silver environmentalists want you to hear when they moan and groan about silver’s use in commercial products. The rest of the story actually puts the lie to the environmentalist’s senstationalistic claims. A silver-resistant mutant of Klebsiella pneumoniae B-5 was produced by passaging in nutrient broth containing graded concentrations of silver nitrate up to 150 ppm. The development of silver resistance in the strain resulted in rough colonies, decrease in cell size, carbohydrate content and change in klebocin pattern. The virulence of the AgR strain as checked by the burn wound model decreased as the mutant could not establish itself in the skin and spleen of the animals and the organism was cleared more efficiently by human lymphocytes than the parent AgS strain. In other words, using the B-5 strain of Klebsiella, the researchers were able to add increasingly high concentrations of silver nitrate (up to 150 ppm) until they produced a strain that was resistant to the silver. However, the silver-resistant strain suffered from a significantly reduced cell size, and was considerably weaker in virulence (i.e., ability to cause infection) than the parent strain. Indeed, the silver-resistant strain, though alive, could no longer establish functional infectivity in the skin and spleen of animals used in the research. And the body’s natural immune system processes readily cleared the microbe, indicating it had been so weakened by the repeated exposure to silver that it was no longer a significant threat. So what’s the problem? Thanks to the silver, even the pathogens that didn’t die during exposure to silver still lost their functional infectivity! As you can see, this is hardly the stuff an impending apocalypse of silver-resistant microbes is made of. Indeed, based upon this study a reasonable person could easily conclude that it’s simply not worth listening to the radical environmentalists who seem to cry “the sky is falling” every time a new commercial innovation involving antimicrobial silver is brought to market. It is well known that certain strains of Klebsiella pneumoniae have also become resistant to Big Pharma’s antibiotic drugs. But…a whopping 75% of these antibiotic-resistant strains are stopped cold by silver-based antimicrobials! In other words, the vast majority of the strains of this potentially deadly pathogen that are no longer killed by prescription antibiotic drugs have been shown to be inhibited by…(drum roll, please) antimicrobial silver! Considering the fact that up to 40% of all victims of multiple-drug resistant Klebsiella infections die from their infections, that’s the news that should be trumpeted from the headlines of all of the science magazines and medical periodicals. Simply put, antimicrobial silver kills most drug-resistant strains of Klebsiella! But it’s not being trumpeted from the rooftops, because radical environmentalists have already co-opted the silver story. And they’ve decided that silver is substanta non grata – an unwanted substance – regardless of how many lives it could save! So the real victims of this terrible twisting of the truth regarding silver’s effectiveness are the thousands of hospital patients infected by drug-resistant forms of Klebsiella every year, 40% of who end up dying of their infection when the use of silver may well have saved them! Another interesting point, according to the Immunogenic Research Foundation, is that many of the studies demonstrating silver resistance by pathogens such as Klebsiella have had some serious shortcomings and outright flaws. First and foremost, the researchers apparently never used nanoscale oligodynamic silver (i.e., small particles of highly bioactive silver). Instead, they used silver salt compounds (such as silver nitrate), which are only mildly bioactive by comparison. So they were operating at a disadvantage from the start. What’s more, in many cases the broth cultures in which the pathogens for these studies were grown were composed of substances (or concentrations of substances) not normal to the human body and which are widely known to negate silver’s effectiveness. In other words, some of the salts used in the broth cultures the microbes were being grown in are known to interfere with the antimicrobial effectiveness of silver. Therefore, what appeared to have been silver-resistance developed by the bacteria, was more likely the result of neutralization of the silver by the ingredients in the broth the bacteria were grown in! The microbes didn’t grow resistant. The silver was simply robbed of its antimicrobial qualities before it could do its job. “Some so-called Ag+ resistant microorganisms may result from an apparent neutralization of the metal’s inhibitory action or other assay artifacts. Plus, the researcher above points out that other confounding factors such as excessive light and extreme temperatures (silver is hyper-sensitive to both light and temperature, which for example, is why silverware tarnishes) may also have played a role in de-activating the silver. What’s more, in many cases these particular growth cultures were apparently not comparable to the biological fluids found in living tissues. In other words, the research only demonstrated silver’s supposed reduction in efficacy against these pathogens under artificial laboratory conditions not relevant to typical human biological conditions. In another study, this time on the use of silver and copper ions in hot water plumbing systems in order to inhibit the Legionella pathogen responsible for Legionnaire’s disease, researchers also claimed to have demonstrated silver-resistance by the pathogen being studied. “The claim of Rohr at al. that Legionella developed resistance to silver is unsupported by any data in their report. However, their data do document that the failure to eradicate Legionella is likely due to insufficient copper and silver ions in the water. In other words, what the study data actually showed was that levels of silver and copper ions in the water system fluctuated too much, and were generally far too low to maintain eradication of the Legionella pathogen. The bottom line is that the conclusion drawn by radical environmentalists from these types of studies – i.e., that repeated exposure to silver by humans will result in the development of silver-resistant microbes – was not even remotely demonstrated by these studies. (2) neglect of the necessary parameters so carefully reviewed by Goetz, Zhao and a NASA commissioned study. In other words (and this is the real clincher), the results of many of these studies demonstrating bacterial resistance to silver nitrate and other silver salts were not duplicated when better designed studies were conducted. This is something the radical environmentalists don’t bother to tell you when they go on their all-too-frequent tirades about the supposed dangers of silver-resistance in microbes. Indeed, it is a typical gambit of the radical anti-silver environmentalists to use flawed studies or to exaggerate the results of studies in order to justify their sensationalistic claims against antimicrobial silver. See here and here for examples. Silver is one of the small handfuls of powerful substances nature has provided for man to extract from the environment and use against pathogens. And it has worked very effectively for thousands upon thousands of years. It’s not perfect. It’s not “God.” But it’s extremely effective against pathogens, including viruses, and even against the emerging superpathogens such as MRSA that are resistant to Big Pharma’s most powerful antibiotic drugs. Indeed, antimicrobial silver is exactly what’s needed in this Age of Strange Diseases in which we now live. – there appears at this point in time to be no significant reason whatsoever to be concerned about the development of silver resistance among pathogens. As we’ve seen above, studies purporting to demonstrate the development of silver resistance have in many cases been poorly conducted, using less bioactive forms of silver (such as silver nitrate) rather than oligodynamic silver (silver that is highly bioactive in even small amounts). What’s more, many of the poorly designed studies used substances that are known to neutralize silver, creating the appearance that the microbes became resistant to the silver when in reality the silver had simply been rendered inert by the poorly chosen ingredients, or levels of silver used were simply too low to be effective. Other studies simply didn’t use high enough concentrations of silver. The bottom line is that once again, the environmentalists are dead wrong about silver. In fact, their sensationalistic claims have simply been blown out of the water by the facts. Whatever the true motive of the radical environmentalists for denigrating the use of antimicrobial silver in commercial products, their protestations are generally fallacious in nature, and frequently border on the ludicrous. …and that will save millions of lives and billions of dollars in health care costs over the years and decades ahead. Important Note and Disclaimer: The contents of this post have not been evaluated by the Food and Drug Administration. Information conveyed herein is from sources deemed to be accurate and reliable, but no guarantee can be made in regards to the accuracy and reliability thereof. The author, Steve Barwick, is a natural health journalist with over 30 years of experience writing professionally about natural health topics. He is not a doctor. Therefore, nothing stated in this post should be construed as prescriptive in nature, nor is any part of this post meant to be considered a substitute for professional medical advice. Nothing reported herein is intended to diagnose, treat, cure or prevent any disease. The author is simply reporting in journalistic fashion what he has learned during the past 17 years of journalistic research into colloidal silver and its usage. Therefore, the information and data presented should be considered for informational purposes only, and approached with caution. Readers should verify for themselves, and to their own satisfaction, from other knowledgeable sources such as their doctor, the accuracy and reliability of all reports, ideas, conclusions, comments and opinions stated herein. All important health care decisions should be made under the guidance and direction of a legitimate, knowledgeable and experienced health care professional. Readers are solely responsible for their choices. The author and publisher disclaim responsibility or liability for any loss or hardship that may be incurred as a result of the use or application of any information included in this post. I was wondering if colloidal Silver can help with intestinal Candida? Or even other types of fungi related problems with the body? I was wondering if colloidal Silver can help pulmonary tuberculosis? Tuberculosis is so serious you should have it treated through a medical professional. It's nothing to mess around with. "From 1900 to the beginning of the modern antibiotic era - circa 1940 with the introduction of sulfa drugs - Silver was one of the mainstays of medical practice in Europe and America. Various forms of Silver were used to treat literally hundreds of ailments: lung infections such as pneumonia, tuberculosis and pleurisy; sexual diseases such as gonorrhea and syphillis; skin conditions such as cuts, wounds, leg ulcers, pustular eczema, impetigo and boils; acute meningitis and epidemic cerebro-spinal meningitis; infectious diseases such as Mediterranean fever, erysipelas, cystitis, typhus, typhoid fever, and tonsilitis; eye disorders such as dacryocystitis, corneal ulcers, conjunctivitis and blepharitis; and various forms of septicemia, including puerperal fever, peritonitis and post-abortion septicemia. (This list does not even begin to exhaust the published medical uses for Silver in Europe and America, 1900-1940)." "The US Food and Drug Administration has approved silver compounds for clinical use and various versions have been formulated by compounding pharmacies. Silver nitrate is used in the eyes of newborns to prevent blindness. Concentrated silver nitrate is used topically on mucus membranes to stop bleeding. Silver sulfadiazine is used for the treatment of burns and to prevent sepsis or bacterial infection in severe burns. Silver formulations have also been used in hundreds of various infections and other conditions including pneumonia, tuberculosis, STD’s, eczema, meningitis, erysipelas, Mediterranean fever, corneal ulcers, conjunctivitis and septicemia." -- Dr. Kent Holtorf, Holtorf Medical Group, "Safety and Efficacy of Intravenous Oligodynamic Silver"
Looks to me like the 'radical' environmentalists were right. We've seen confirmed cases of silver resistant MRSA and horizontal transfer of the genes encoding silver resistance between bacteria. Admittedly the levels of resistance are not as high as with some antibiotics but to imply bacteria are unlikely to become resistant to silver is just plain wrong. Apply enough of any substance to bacteria and they will become resistant to it. Actually, quite the opposite, Anonymous. The more silver you apply, the LESS chance there is of developing antibiotic resistance. It's only when sub-therapeutic amounts are applied that enough bacteria live to become resistant. And even then, it is very, very rare. Is Colloidal Silver Safe to Use During Pregnancy?